Dipstick Vapes has provided me with their latest innovation since the Dipstick and this new vaporizer for concentrates is dubbed the Dipper. What sets it aside from the original Dipstick is the addition of the optional quartz crystal atomizer for more traditional usage. The unique vapor tip is what carried over from the flagship Dipper and all put together wit a durable metal build. Now that the Dipper has been unpackaged and gotten some usage with each of the available tips, it is time to see how it performs. The first feature of the Dipper that stands out is the durable build, as it feels heavy and like it could take a couple accidental falls and while feeling heavy, it is extremely portable without feeling awkward. 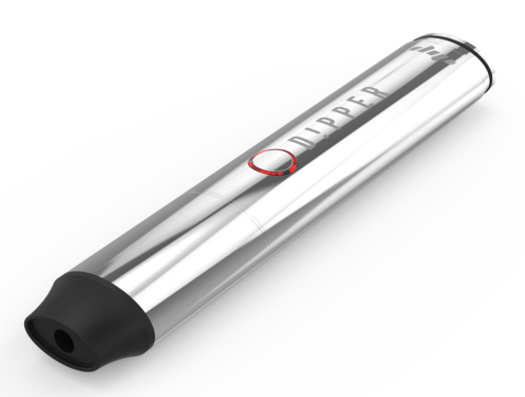 It’s single button is easy to locate with multiple heat settings and three colored LED to identify when the Dipper is how and how hot it is set at. When it comes to the actual use, the Dipper is smooth with low resistance, which resulted in less coughing than I typically experience with vaporizing concentrates. 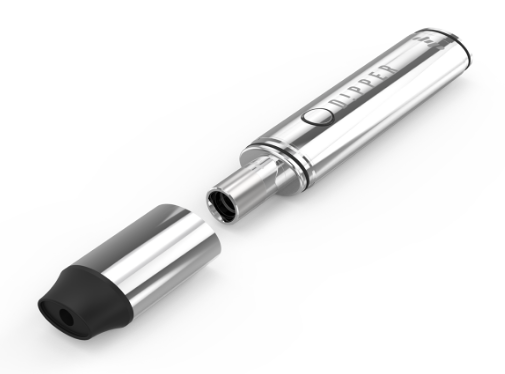 The vapor tip is great for usage at home without need of any sticks or scrapers and the atomizer is great for use while out, just load and go. My time with the Dipper was great, it stays nice and clean without worry of leakage in my pocket and provided an easy draw which results in smooth flavorful puffs with each use. I did have a slight hiccup with the atomizer out of the box, it did not have a solid connection, but after a brief call with Dipstick Vapes, it was quickly replaced and works like a dream. I must admit, not being familiar with the original Dipstick, it looked a little weird and wasn’t sure how it would work but it is extremely efficient and I liked not having to mess with concentrates which tend to wind up all over the place. The Dipper from Dipstick Vapes is available now for $149.99 in Chrome and Charcoal.